Click the images below to browse lights by category or search for specific colors or features. 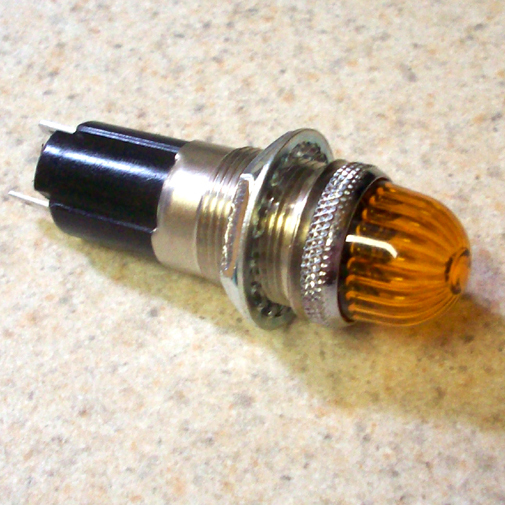 All lights come equipped with tested bulb, unless otherwise indicated in the listing. The one-inch styles of Dialco are great for indicator, brake and warning lights. They were manufactured in screw and push-in applications, and range from a flat lens, to a curved dome, and a peaked style in smooth, faceted and beehive finishes. Lucite and glass were the two main materials used in the lenses. Dialco was the leading maker of these style of lights, along with Drake, Gothard and a few others. We offer rare military style lights, in the 1" and accessory size. These have a neat gunmetal-finish bezel, and a green-frosted lens glow look. A great addition to a military-themed or a dark-accented color panel. We offer rare map lights, in the 1" and accessory size. 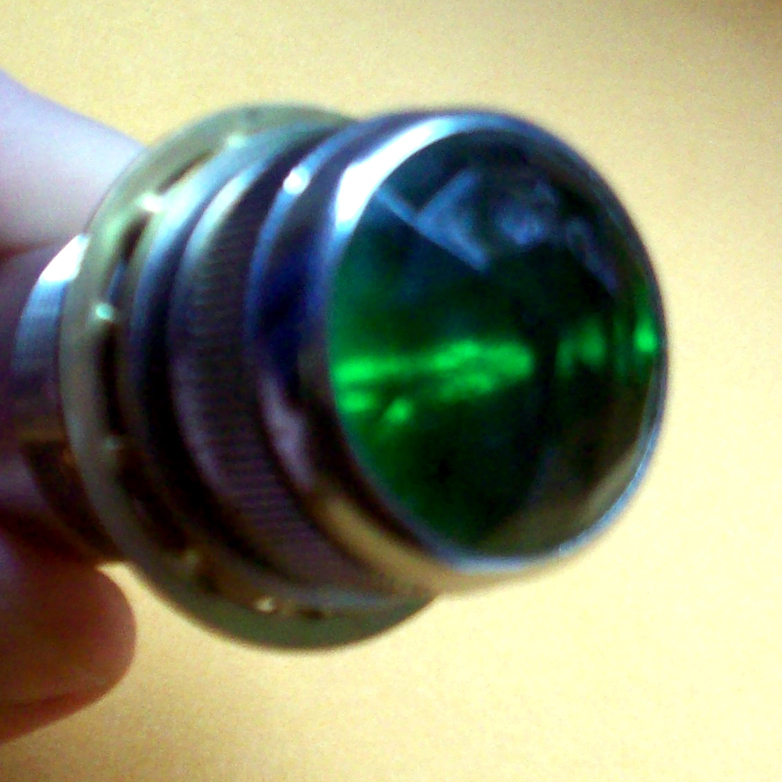 These have either a neat gunmetal-finish or high polish bezel, and come with long-lasting bulb. A great addition to a military-themed, traditional or any color panel. Our selection of smaller military-look lights range from an 11/16" blackout panel style to the gunmetal-bezel 5/8" lenses in both open cage and barrel holders. Either type gives your panel a hard-edge look, and an excellent "floating lights" appearance in nighttime driving. 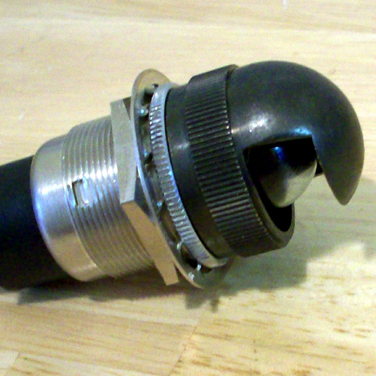 The 3/8” inch thread light is great for accent and panel indicator lights. They are available in a wide range of colors, material and finish. If you have smaller dash panel face-out space available, these are an excellent option. Made by Dialco, Drake, Gothard, SMK and others. The 9/16" lights are a tad bigger, with a higher profile than the smaller lights. These make great progression lights, as they are easy to see, and give off a more "industrial" look, perfect for that stylized dash. We have a great selection of miniature lights that are mounted in 15/32" holes, perfect for accent and cluster configurations. They are rugged military grade, with easy front lens removal for bulb switch-outs. Many colors and styles. We have a limited selection of Harley Davidson and general vintage motorcycle warning and ignition light set-ups, in different colors and heights. These will usually be available in used, but tested fine mountings, and occasionally NOS mounts as well. They will be described accordingly. Boat-style lights were popular as “dashboard jewelry” in the 1950’s, and we carry NOS polished bezel red lights in this category. They have a neat smooth “low-profile” look, and are easy to swap in and out in a ¾” mounting hole. Backlights are crucial for many of the vintage hot rod gauge panels. The 1932 Auburn, Cadillac, and more of the era, plus the Stewart Warner panels of the 1950’s and 1960’s used ambient (behind the panel) lighting for many of their gauges. 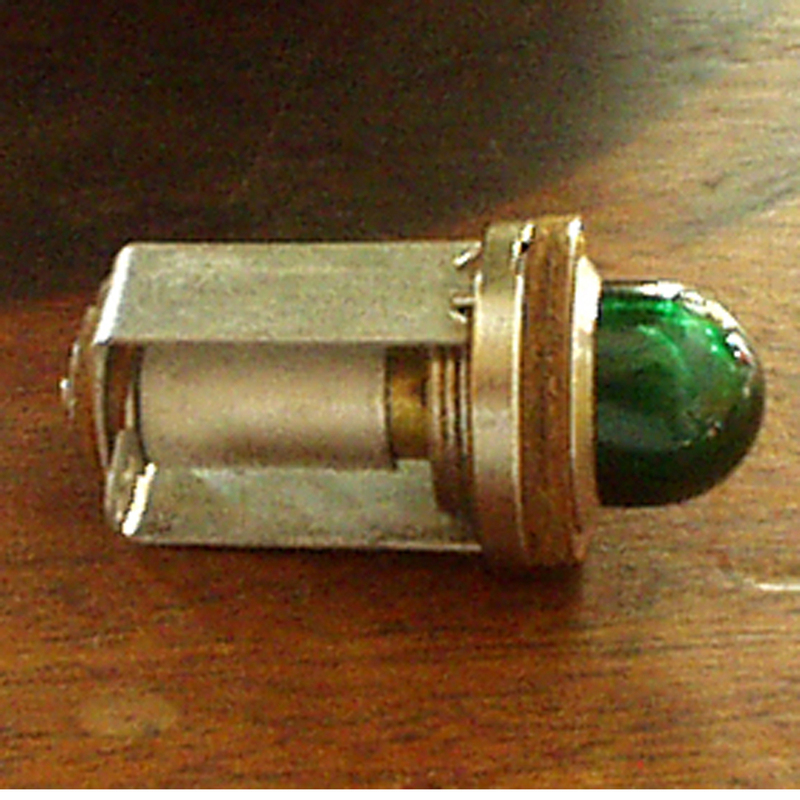 These were typically incandescent bulbs lighting the gauge face through a green-tinted window in the side of the instrument. We have different varieties for you, including plug-in sockets designed for the SW gauges with internal light sources.